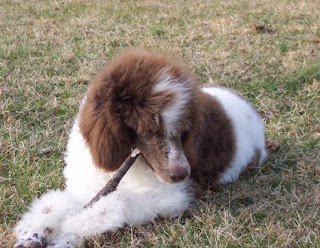 For many years, it was almost impossible to find a quality parti-colored Poodle. For whatever reason, the Poodle Club of America, in putting together the AKC Standard, decided against allowing anything other than solid colors to be shown in the conformation ring (towards AKC championship titles). Parti-colored Poodles have always been registerable by AKC and could be shown in performance events, such as agility, obedience and rally, but could not be shown towards conformation championships. 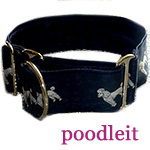 Now the United Kennel Club (an organization totally separate from AKC) allows multi-colored Poodles to be shown even in their conformation rings. This has made dogs of other than solid colors gain popularity. In fact, parti-colors are now being bred by puppy mill breeders, unfortunately. 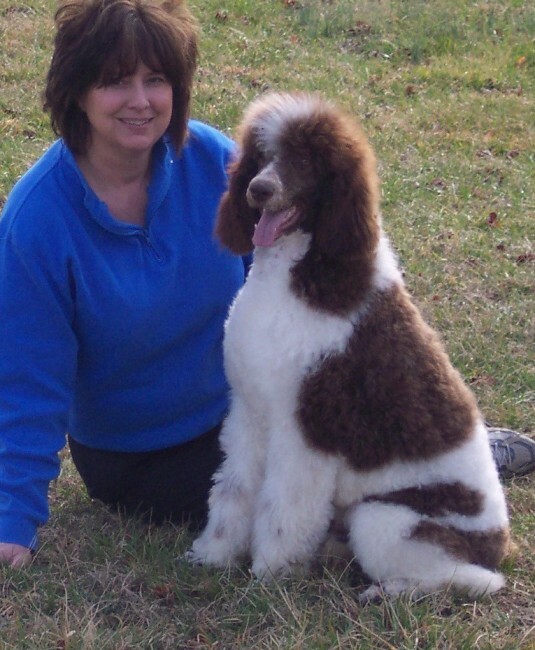 As with purchasing any Poodle, if you are looking for a parti-color to add to your life, make sure you buy from someone reputable who breeds only dogs that have all the health clearances recommended by the Poodle Club of America. The pup shown is Mikey, owned by Linda Lee Earl. Isn't he lovely? His registered name says it all - Paint Me Politically Incorrect. That's me having a bad hair day (wind was blowing!) - Mikey having a fairly good hair day. Aren't his markings pretty?